I'd rather watch Matt Helm or Derek Flint. I didn't find the Powers movie amusing at all. 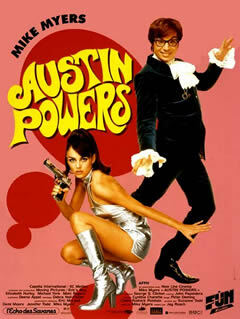 Robert: I love the MATT HELM and FLINT movies also (they're a blast), but I do have a soft spot for Austin Powers. Yes, at times it's incredibly juvenile, but I have to admit it makes me laugh! Thanks for your continued support of the blog, and all the great comments. They're truly appreciated!